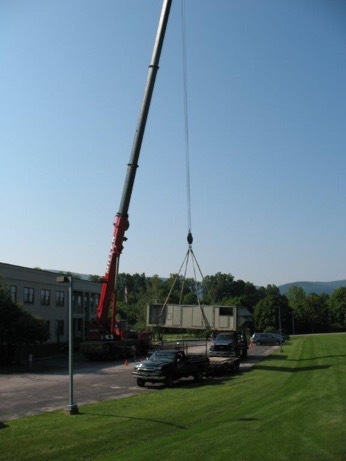 Section 179: HVAC Equipment Now Qualifies | GSK Climate Control, Inc. Thanks to the ‘Tax Cuts and Jobs Act’ which was signed into law late December 2017, commercial HVAC (heating, ventilation, & air conditioning) equipment is now eligible for immediate tax deductions for the 2018 tax year. Prior to the new tax reform, HVAC equipment was considered a capital improvement and was thus excluded from the Section 179 deductions. With the new changes, all components of commercial heating, ventilation, & air conditioning systems, including the installation, can be immediately expensed within the first year of purchase. Who wouldn’t want to invest in upgrading their company’s assets without having to capitalize on the expense come the end of the year!? Commercial businesses are now permitted the financial capacity to upgrade their old, unreliable equipment that’s costing them money, comfort, and increased utility bills, thanks to the tax benefits offered in Section 179! This is a great incentive for businesses to invest in energy efficient equipment, that will improve their comfort and operations as well as their bottom line. With the latest HVAC equipment utilizing variable speed motors, economy cooling, and modulating capabilities – modern equipment will lower your monthly electric and gas bills continuously over the lifetime of the equipment. This is the first year, Section 179 offers considerable tax benefits and savings on your nonresidential HVAC. Qualified property must be purchased AND placed in service in the same year in which the deduction is claimed. A restaurant owner needs to replace 1 of his HVAC rooftop units. Equipment and labor for the install will cost $14,000. Based on the old tax code, the restaurateur could only claim approximately $350 in depreciation expense each year, over a time span of 39 years – way beyond the expected lifespan of the equipment. 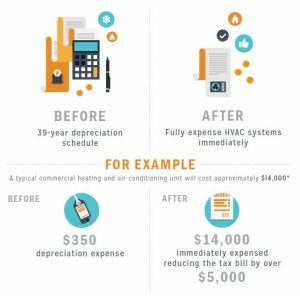 Under the new law, the restaurant owner can deduct the entire cost of the HVAC equipment, including install, from his business income in that same year. At the top marginal tax rate his tax savings would amount to $5,180 – a significant reduction from his original $14,000 investment. A businesswoman needs to replace 10 of her building’s packaged HVAC systems. 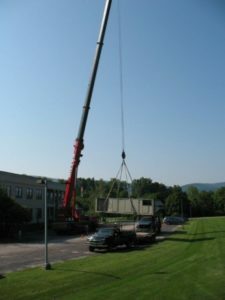 The total cost of the equipment and labor for the install will amount to $150,000. Under the old Section 179, the owner would only be able to claim approximatley $3,846 in depreciation for the first year. At a 35% tax rate this would result in a mere $1,346 in tax savings. 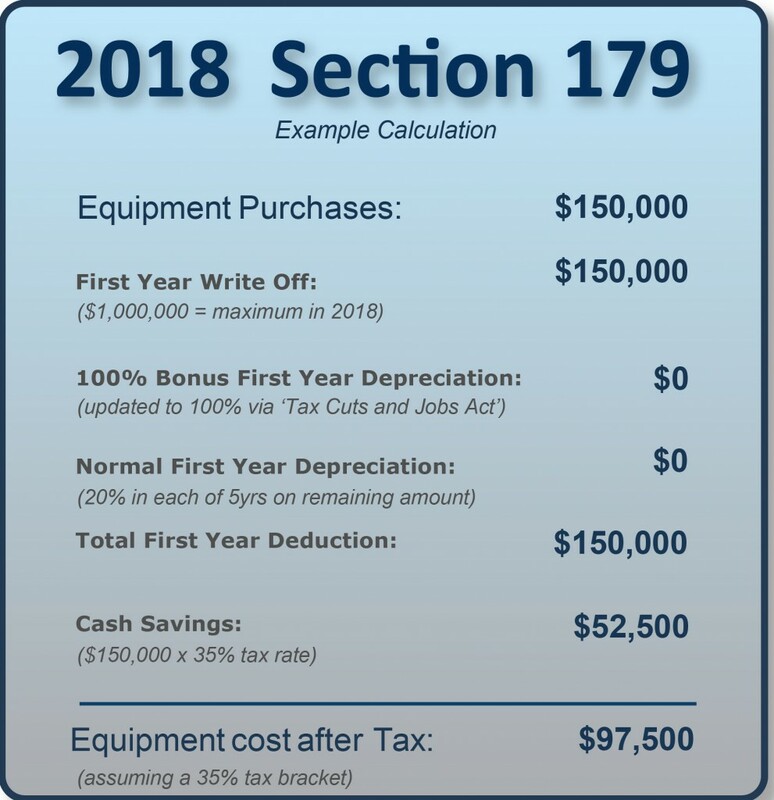 With the new expanded Section 179, the same businesswoman could deduct the full $150,000 in equipment, resulting in a tax savings of approximately $52,500! Who doesn’t want to take advantage of significant tax savings that greatly offsets your initial investment – saving you money on taxes, as well as the cost of utilities throughout the new efficient equipment’s lifetime?! This incentive encourages businesses to make the investment in themselves and their operations by upgrading to energy efficient commercial equipment. Taxpayers can choose to expense the entire cost of such an asset without capitalizing it at all! 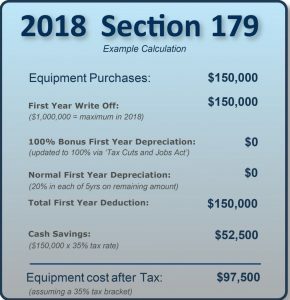 For those considering new high-efficiency upgrades to their nonresidential HVAC & Refrigeration equipment, it’s important t0 plan to capitalize on Section 179 savings ASAP, as Section 179 is a tax break that notoriously changes each year and may not be available come 2019! Now is the time to invest in efficient, cost-effective, environmentally-friendly equipment upgrades that’ll improve your comfort, operation, and bottomline. Maximize your tax benefits this year – speak with your accountant and start planning for an HVAC/R upgrade! About GSK Climate Control, Inc.
secretary/technician, GSK Climate Control, Inc.